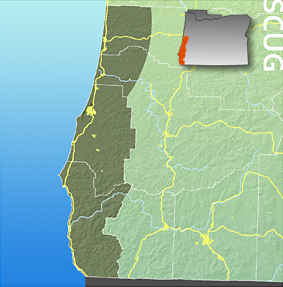 SCUG is a forum for the geographic information services industry on the south Oregon coast. SCUG meets quarterly, at the Spring and Fall equinoxes and the Summer and Winter solstices. Meetings are open to the public. What do ORURISA members need and value from their membership in ORURISA? Use the searchable map to find links to area motels and hotels. Search Charleston Oregon for coastal getaways. It's 17 miles south of Coos Bay. Easy access to the South Slough Visitors Center via Hwy. 101 and West Beaverhill Road. Questions about this page? Call John Bragg, 541-888-5558 ext. 129.